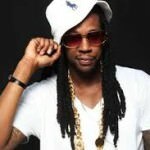 2 Chainz (Tauheed Epps) is an American rapper born in 1977 in College Park, GA. He started in the industry as part of the group Playaz Circle. He was originally signed to the record label Disturbing the Peace, which is operated by platinum selling rap artist Ludacris. In 2012, he released his first album Based on a T. R. U. Story. Later that year, he won four awards at the BET Awards. A recording of 2 Chainz taking an inebriated woman into a building is released on Instagram. 2 Chainz performs Black Unicorn along with artists Crisette Rochelle and Sonny Patterson on The Arsenio Hall Show. I reached out to 2 Chainz, because I’m a big 2 Chainz fan and I think Kendrick is amazing. So the funny thing was, my management sent it to Kendrick while I had sent it 2 Chainz. So I already had a 2 Chainz version and then suddenly we hear that Kendrick loves the record and already recorded a verse. And I was like, ‘Oh my god, this is incredible.’ So they’re both on the song now, because it’s just too good. Minaj performs Beez In The Trap at the 2012 BET Awards, with 2 Chainz. Minaj performs Champion accompanied by a live orchestra at the BET Awards. 2 Chainz joins her when she delivers the song Beez in the Trap.